Since its debut in 1977, Star Wars has been a national phenomenon. Everyone has got to know Star Wars because it is part of America’s culture, at least according to junior Nathan Sheets. “I really like Star Wars. I like how you can have lightsaber fights after you watch the movie and how there is a whole universe behind the movies,” Sheets said. Sheets has been a fan of Star Wars his whole life, largely because of his family’s love for Star Wars. “I remember the only version that we had was VHS, so I had to figure out how to use that,” he said. Sheets has even read a few Star Wars books. Most of them are about after the empire was defeated in the sixth movie, he says. In addition, he often talks to his friends and family about Star Wars. “I would say, 70 percent of the time I go home, there is a Star Wars movie on,” Sheets said with a laugh. Sheets’ knowledge is vast and he is quick to answer some secrets about the fandom. “There are a lot of references that they will throw into the movies, especially in the seventh one. They had a whole bunch of things that are from the old movie that they just suddenly put into the background. Only people looking for it will see it. [For example] there is a chess game in the seventh movie that the characters are in the exact same spot as the fourth movie, the last time you saw them using it,” Sheets said. 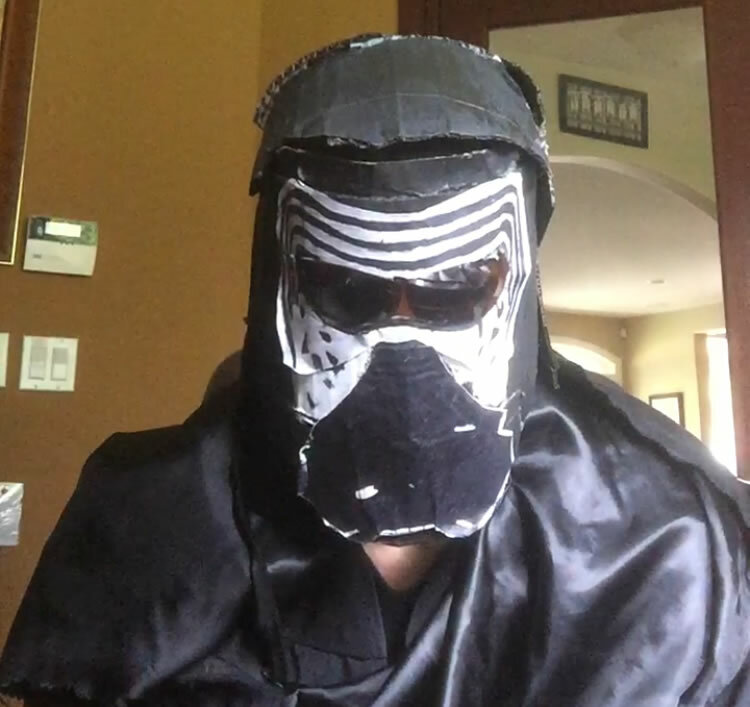 Sheets is not the only member of his family that takes part in the Star Wars trend. Between him and his brothers, their household contains a variety of Star Wars costume pieces. “[We have] up to 60 light sabers, many costumes, most of which do not fit anymore, many stormtrooper costumes and Jedi robes, a Darth Vader helmet, Jango Fett helmet, Boba Fett helmet and the list continues forever. And, I am currently wearing a Star Wars T-shirt,” Sheets said. His older brother Kyle runs a Star Wars-related business, as well. It is called Wookies and Wizards and sells a variety of Star Wars and Harry Potter products. “My brother sells lightsabers that he makes in the garage and other Star Wars merchandise,” Sheets said. Overall, Nathan really enjoys the Star Wars saga and is looking forward to the upcoming movie, Rogue One, he says. “I would recommend it to everybody because first off, it is a lot of great movies. It is kind of part of our culture in America. [You] got to know Star Wars,” Sheets said.